He is now educated in Sales, HR and motivation; he is a licensed Business Consultant and Business Trainer. As part of his “Total Sales System” he has created the very effective “i-Sell System” & “i-Speech System” and has almost completed his “i-Care System” & “i-Manage System”. He has trained over 50,000 salespeople, sales directors, top management and business owners, from international companies such as Panasonic, Toyota, Volvo, Nestle, Unilever, Heineken and from Russian companies such as Sberbank, MTS and Megafon. With over 30 years experience of personally selling a variety of products and services and international fundraising, Michael imparts theory with lots of real and practical examples. 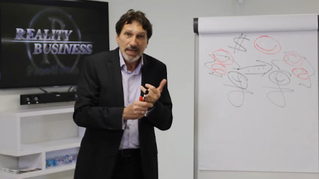 As a result seminar attendees grasp an effective sales system easily and effectively, in a very short period of time.